Welcome to our weekly progress report series, The Green Report. 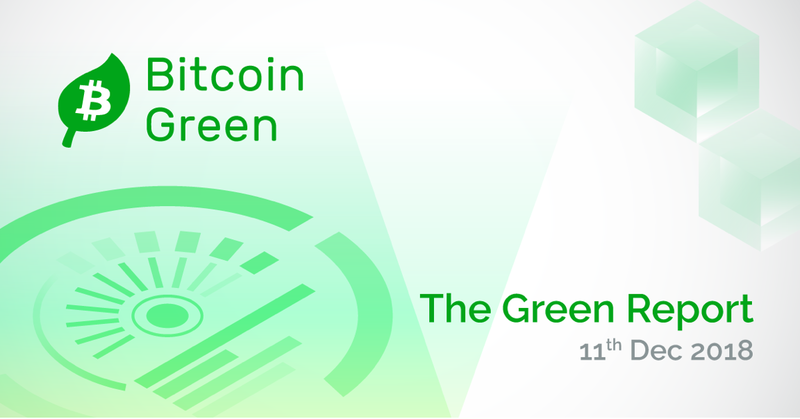 The Green Report series is designed to keep our community informed about what is going on internally with Bitcoin Green developments. This Green Report contains a short summary of the week’s development progress. Make sure to check out last week’s report which contains more information about recent objectives. We have released our first translated articles on Medium — we now have a format for all translations. Raimon Domínguez wrote a great piece in Spanish! Arantuil wrote a great steemit article about masternode/staking with BITG in relation to Dash. We had some Merch Reimbursements, order some BITG Merch if you haven’t already! If you have any questions, please reach out to info@bitg.org! Raising awareness for the advantages of proof-of-stake and other sustainable forms of network consensus. Raising awareness for the advantages of proof-of-stake and other sustainable forms of network consensus. The Bitcoin Green cryptocurrency is a transactional, daily-use currency designed to provide a scalable and sustainable alternative to Bitcoin.